VATICAN CITY -- Pope Francis on Thursday accepted the resignation of a West Virginia bishop, Michael Bransfield, and at the same time authorized a fellow bishop to investigate allegations that Bransfield sexually harassed adults, Vatican officials said. The development, announced just as a highly anticipated meeting between Francis and U.S. cardinals and bishops was getting under way, lent a dramatic twist to the emergency gathering, called to address another scandal involving an ex-U.S. cardinal. 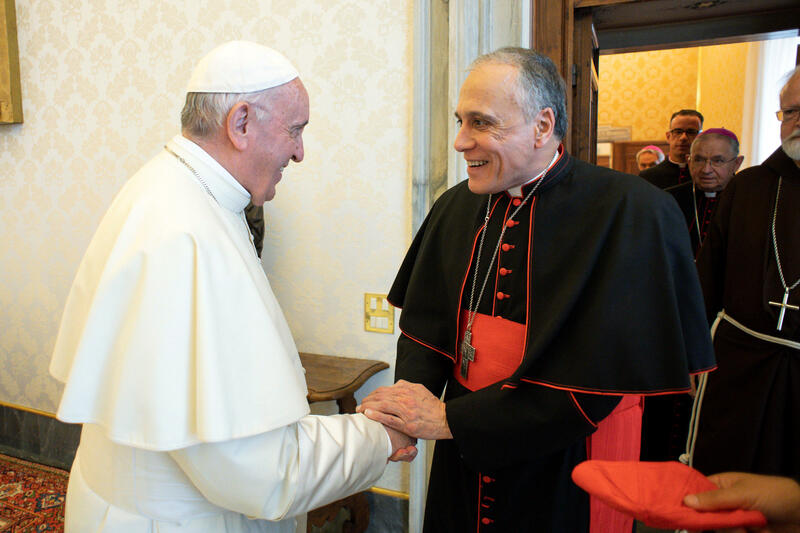 The head of the U.S. Conference of Catholic Bishops, Houston Cardinal Daniel DiNardo, had requested the papal audience last month following revelations that McCarrick had risen through church ranks even though the allegations of sexual misconduct were known in U.S. and Vatican circles. DiNardo is asking for outsiders to play a role in church investigations and for there to be new channels established to report abuse, reports CBS News correspondent Seth Doane.